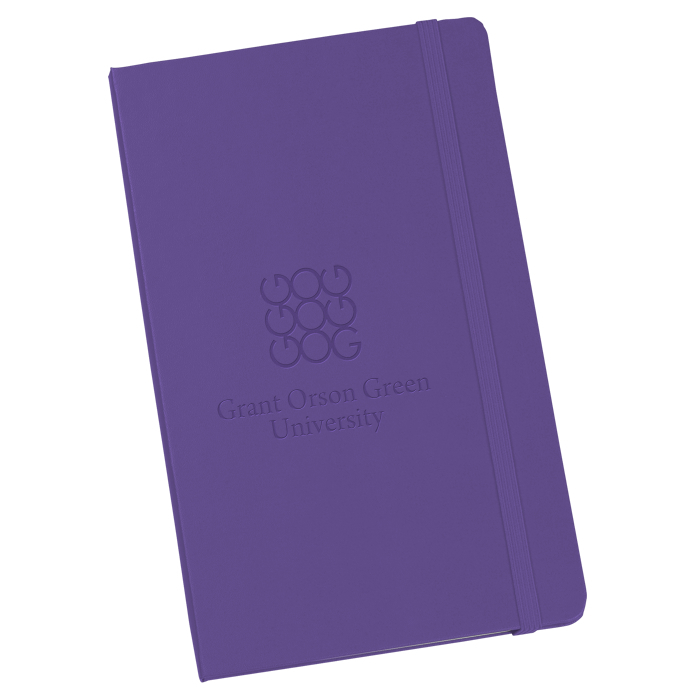 Imprint these notebooks for a notable promotion! 10 color(s) to choose from! Pair your promo with a custom Moleskine® notebook. Journals are made with 120 sheets (240 pages) of ruled, acid-free ivory paper. Make sure the pages stay neat and tidy with the matching elastic band for closure. Mark your spot with the matching ribbon bookmark. Size: 8-1/4" x 5" x 5/8". Your price includes a debossed imprint on the front of the notebook.